Is coloring therapeutic for anyone else? Oh man, I can spend hours on my adult coloring book and lose all track of time. 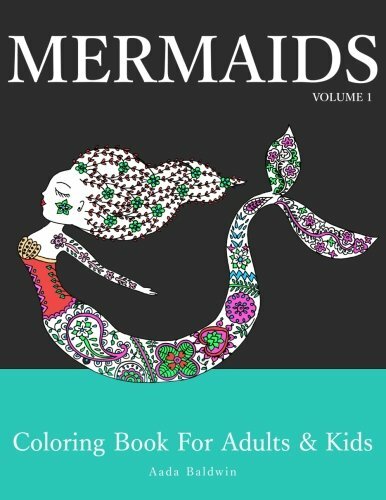 Wouldn’t it be great if there were mermaid coloring books? Lucky you! There are tons! 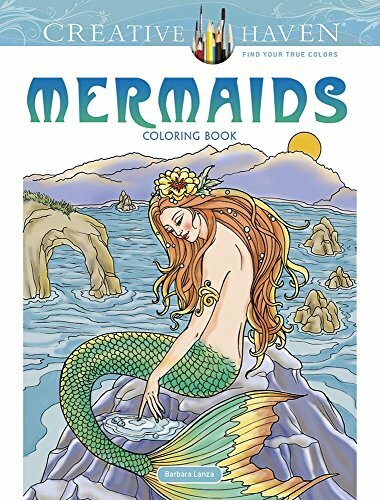 Let’s combine mermaid art and coloring to get some amazing mermaid coloring pages shall we? 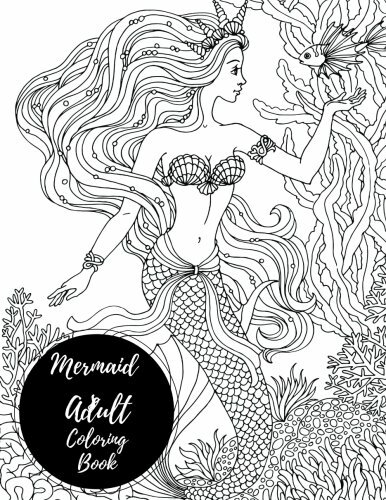 I personally love to spending time shading and detailing coloring sheets adding to my Mermaid decor. Most downloads are free printables for kids, but with a little digging, you can find the detailed pages for adults. 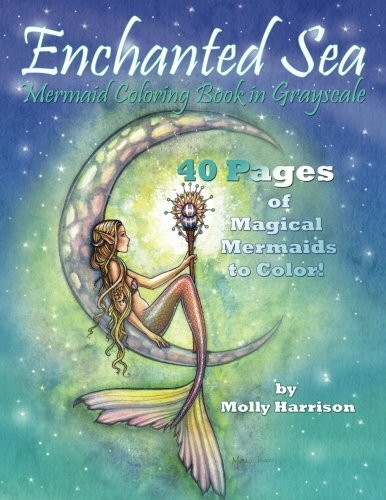 If you like what you see, there are whole books with intricate details of sea creatures you can color all day long! These are very similar to the adult coloring pages but will have realistic proportions and facial features. Some can get “risky” so beware if shopping with teens or kids. How could we live without Disney’s coloring pages! Honestly, where would our childhood be missing Ariel and Eric? With her signature red hair and green tail you can go for the classic look, or some colorful variations. This Disney princess’s under the sea scenes can’t be beaten with her friends Flounder, Sebastian, and King Triton. Other books have a certain artistic style to them, and shouldn’t be overlooked! Check out the creative artists below! 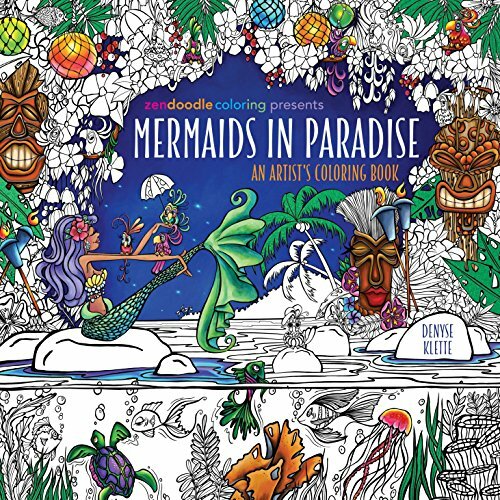 Here we have detailed art where you and your kids can develope fine motor skills filling in and shading all the mermaid scenes. These lovely illistrations decorated the mermaid tails in different floral arangments. For a more realistic look, Creative Haven shows mermaid friends with long hair having adventures above and below the surface possibly searching for a treasure chest. If you love fairy tales, this book if for you. A mix of pretty mermaids to spark your child’s imagination. Ariel in the Disney classic is much different than the original by Hans C Anderson. Experience the little mermaid story as it was told back in the 1800’s. 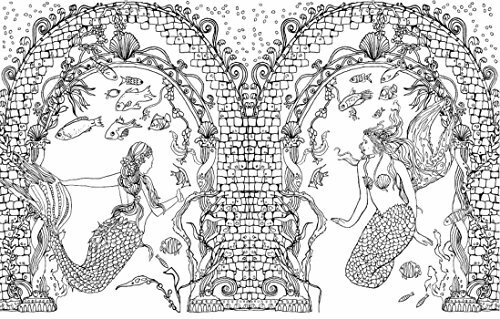 Check out these websites for some free coloring mermaid page downloads. Feel free to leave a comment if you have a book you really like, or I would love to see your art! Please upload a free printable mermaid picture to my Facebook Page! it is very beautiful and unique coloring pages thanks for sharing with us. I recently published a children’s book, “If I Were A Mermaid,” a poem/story of a little mermaid who visits the creatures in the sea, and then returns home to her family and land friends at the end of the day. The illustrations are beautiful and richly colored on every page, and it would be a wonderful addition to your gift shop. It is currently available on Amazon and Barnes and Noble, and will soon be on iTunes. I’m writing to see if this is something you may consider purchasing to sell in your gift shop. I’ve attached a copy of the cover of the book for your review. If you are interested and wish to order directly from the source, the printer is Ingram. If you would like more information on the book (text/illustrations), I would be happy to forward some of that information as well. Sure! I would love to read it! Do you have a digital copy? Es un alivio encontrar a alguien que realmente sabe lo que están hablando en blogoesfera . Definitivamente, que sabes cómo llevar articulo a la luz y que sea ameno. Más internautas tiene que leer esto.